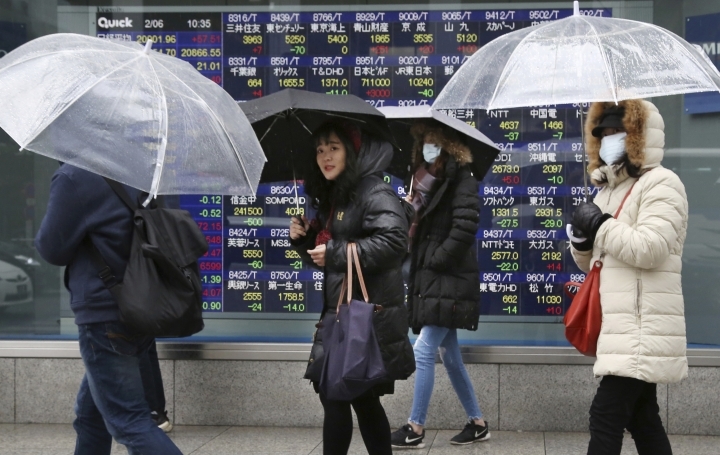 BANGKOK — Stocks fell in European trading Wednesday, after gains in much of Asia, as investors digested U.S. President Donald Trump's State of the Union address to Congress. While the address raised no new concerns, Trump reiterated his determination to protect American jobs and get China to make structural changes to its economy to help curb its trade surplus with the U.S.
British Prime Minister Theresa May was due to meet with major political parties in Northern Ireland in a bid to end an impasse over her proposal for Britain's departure from the European Union. Germany's DAX dropped 0.3 percent to 11,330 and the FTSE 100 in Britain lost 0.2 percent to 7,162. The CAC 40 in France slipped 0.2 percent to 5,075. Wall Street looked likely to get a slow start, with the future contract for the Dow Jones Industrial Average down 0.1 percent at 25,288.00 and that for the S&P 500 also down 0.1 percent, at 2,727.25. Asian benchmarks were higher, though most regional markets remained closed for the lunar new year holidays. 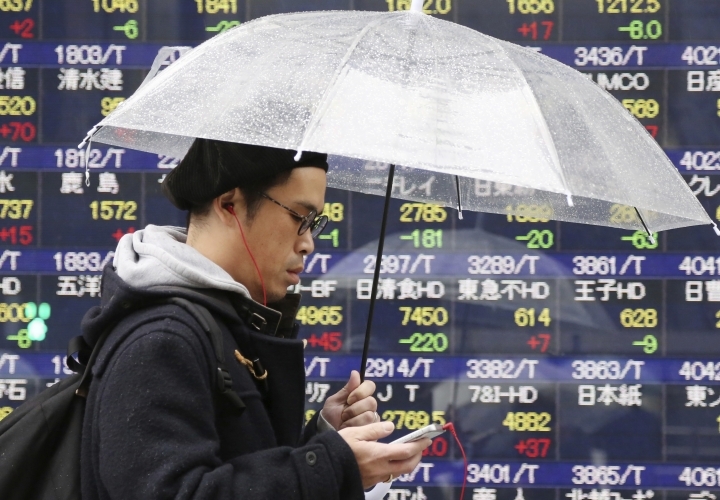 KEEPING SCORE: Japan's Nikkei 225 index gained 0.1 percent to 20,874.06. Australia's S&P ASX 200 rose 0.3 percent, helped by buying of banks' shares, to 6,026.10, while the Sensex in India jumped 1.0 percent to 36,975.23. Markets in Hong Kong, mainland China and most of Southeast Asia were closed for lunar new year holidays. CHINA-US TRADE: Positive sentiment was supported by reports from Washington, citing unnamed sources, that say U.S. Trade Representative Robert Lighthizer and Treasury Secretary Stephen Mnuchin plan to travel to Beijing next week for the next round of talks aimed at resolving trade and technology-related disputes that have led to both sides imposing tariffs on billions of dollars' worth of each other's products. ENERGY: U.S. crude oil lost 62 cents to $53.04 per barrel in electronic trading on the New York Mercantile Exchange. It fell 1.6 percent to settle at $53.66 per barrel on Tuesday. Brent crude, used to price international oils, gave up 70 cents to $61.28 per barrel. It slid 0.8 percent to close at $61.98 per barrel in London. 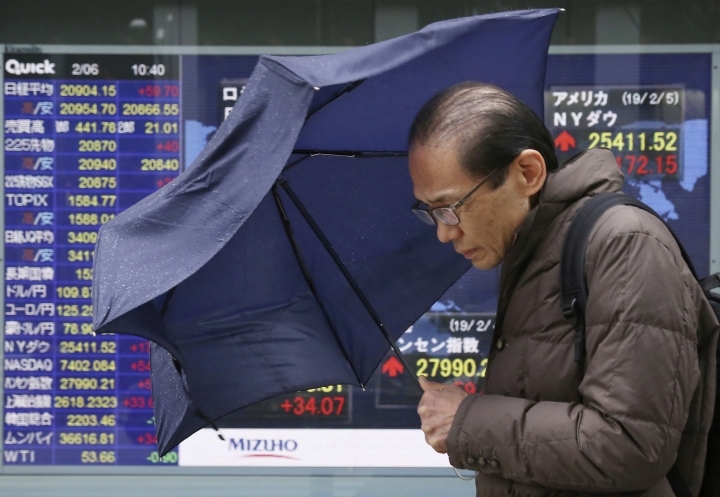 CURRENCIES: The dollar slipped to 109.65 yen from 109.96 yen on Tuesday. The euro weakened versus the dollar to $1.1395 from $1.1405.